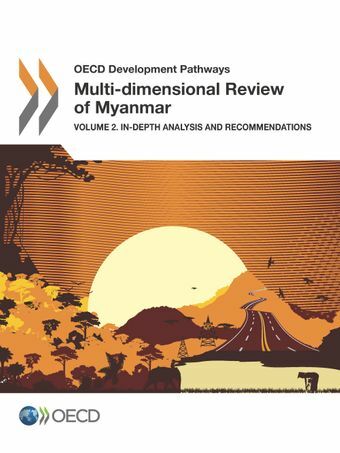 Building on an initial assessment of constraints to development in Myanmar (Volume 1), this second volume provides analysis and policy recommendations in three key areas: structural transformation, education and skills, and financing development. It finds that Myanmar faces a crucial few years to shape growth towards a higher, more sustainable and equitable trajectory. To succeed, it will require a transformation of the economy from an agrarian base reliant on small-scale agriculture at present towards a broad range of modern activities. Building up the right skills in the workforce will be essential to support this structural transformation. Myanmar’s transformation will also depend upon how effectively the country can mobilise and allocate the financial resources needed to support its development, which could amount to as much as an additional 5-10% of GDP on average over the next two decades.